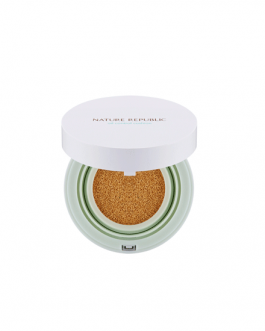 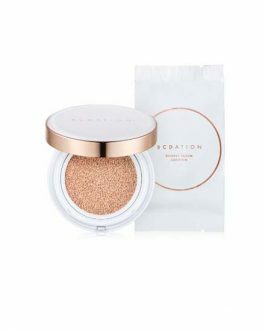 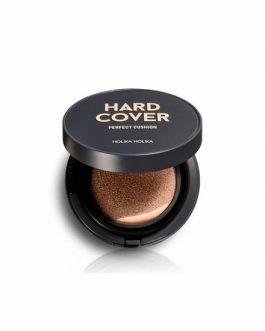 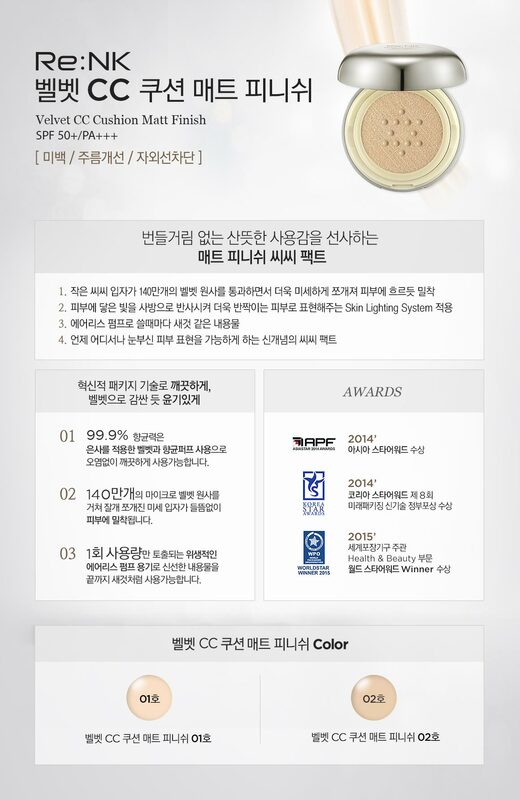 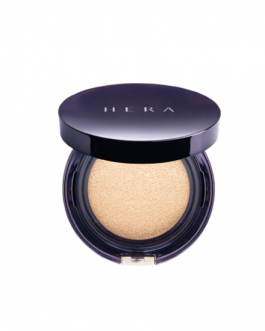 Re:NK Velvet CC Cushion Matt Finish SPF 50 /PA , 14g 14g(Refill), Korean cosmetics. 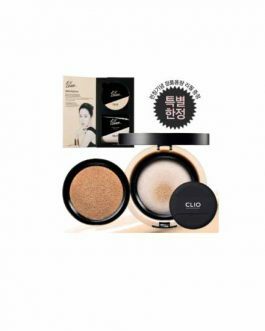 Free shipping worldwide (order above $50), 100% safe shipping guaranteed. 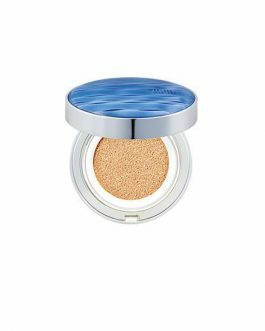 The matte finish CC pact provides a refreshing feeling without making skin look oily. 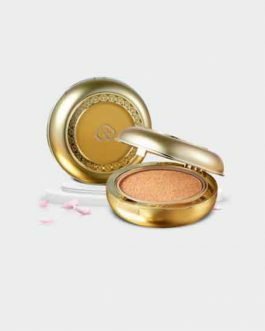 The fine CC particles closely adhere to skin, breaking down even more finely as they pass through 1.4 million velvet fibers. 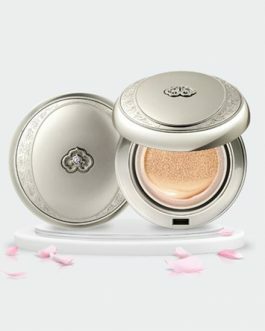 Skin Lighting System makes skin look sparkly as it reflects light in all directions. 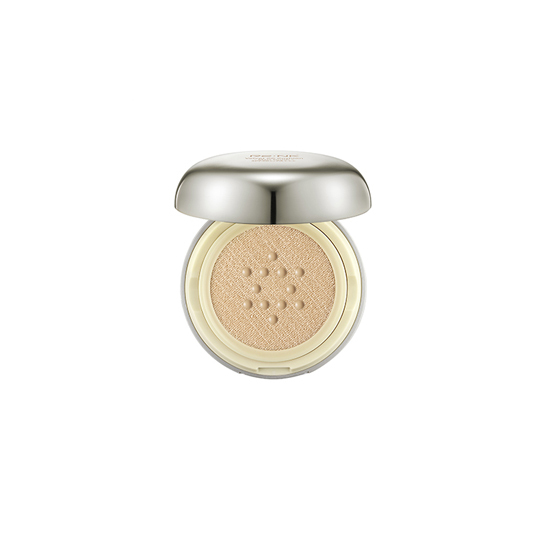 The new concept CC pact can be used anytime and anywhere to make skin look radiant.